This is another recipe from the Rick Bayless Twitter contest (see the post on Chipotle-Glazed Baby Back Ribs for more details). As with the ribs, I missed the contest deadline due to the move, but still wanted to give it a try. 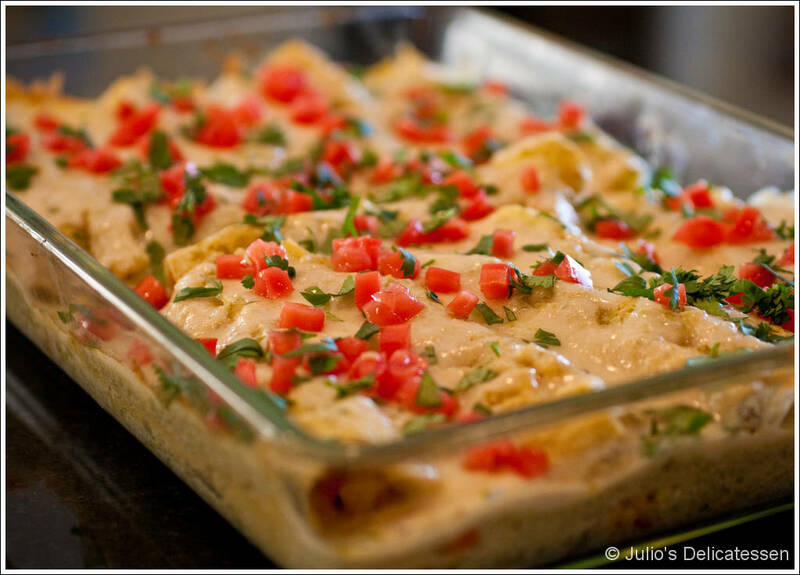 Recipe adapted from Rick Bayless Twitter Feed. 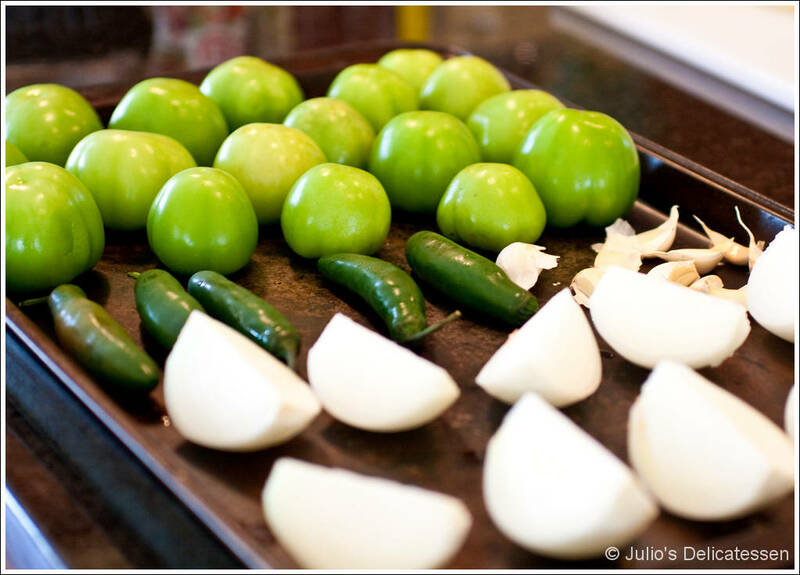 Roast the vegetables (can be done a day in advance) – roast the tomatillos, garlic, serranos, and the vegetables for the enchiladas. 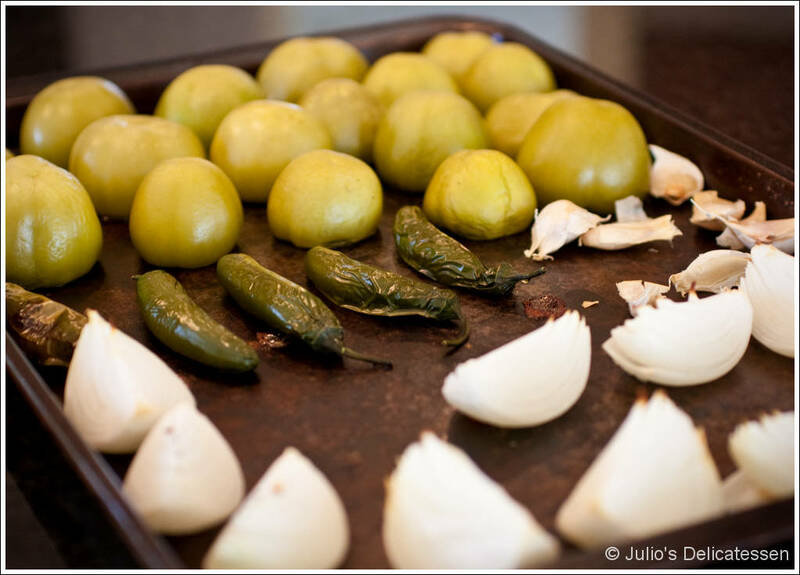 Prepare the sauce – Add the tomatillos, garlic, and serranos to a food processor and puree until smooth. Heat vegetable oil in a pan over medium-high heat. Scrape the puree into the hot oil and cook until slightly thickened. Add the broth, stirring until well incorporated. Simmer for 3 – 5 minutes. Remove from heat, add crema, and stir. Assemble and cook the dish – Preheat oven to 350. Heat the tortillas in the microwave until soft and warm. 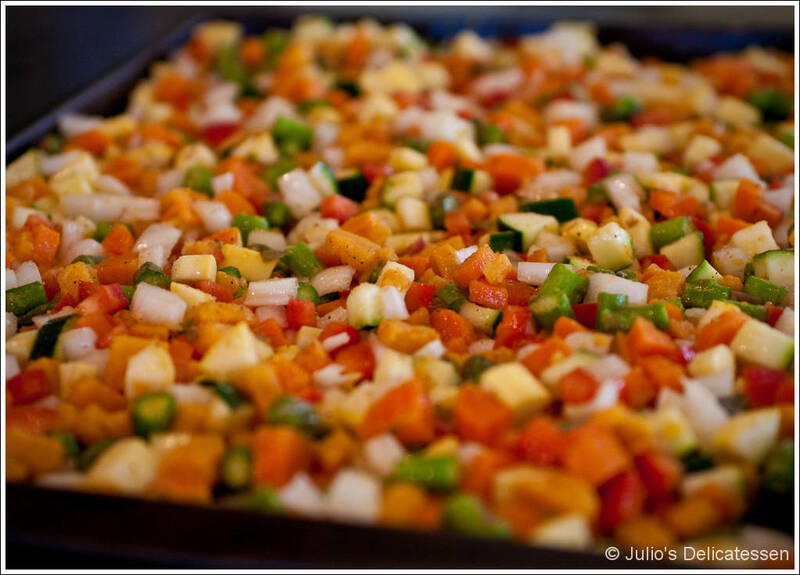 Wrap each tortilla around some of the roast vegetables, them place in a small baking dish. Cover the tortillas with the sauce, then sprinkle with the Chihuahua cheese. Bake for 15 – 20 minutes, until cheese is melted and slightly brown. Add garnishes and serve. I am going to watch out for brussels. I’ll appreciate for those who continue this in future. Many folks can be benefited from your writing. Cheers!